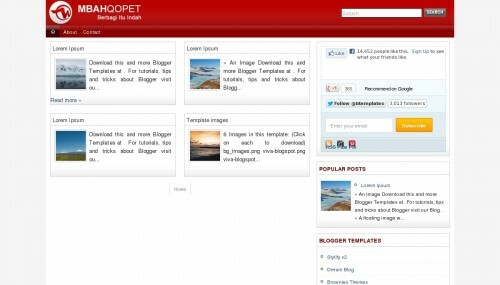 Mbah Qopet is a free blogger template with 3 columns, right sidebar, an exclusive design for Blogger, footer columns, posts thumbnails, related posts support and well designed threaded comments. Nice template. I will use it.